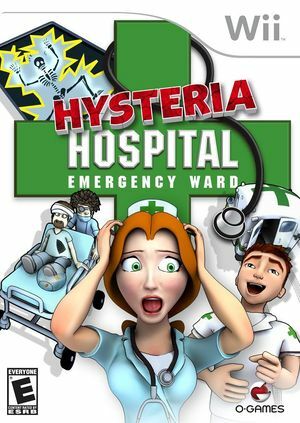 A usual day in Hysteria Hospital: Emergency Ward - another torrent of patients threatens to turn the emergency ward into chaos. Only one person can control the frantic situation - can you keep your patients happy when your ward is overrun? As a female or male nurse, organize the ward and direct the patients to treat their conditions as quickly as possible. You can design and improve your ward for life-saving efficiency to be the best head nurse in America and save the Hospital from being overrun! Each of the patients have many humorous conditions, all with cures using the latest, bleeding-edge treatment machines ranging from basic X-Ray's to steam therapy to the hilarious De-Stress machine. There are 7 different wards to run, from a local Maryville clinic through to New York Central Hospital; over 60 levels including the 'Endless' mode that steadily increases in challenge as you progress. Can you handle the pressure? The graph below charts the compatibility with Hysteria Hospital: Emergency Ward since Dolphin's 2.0 release, listing revisions only where a compatibility change occurred.